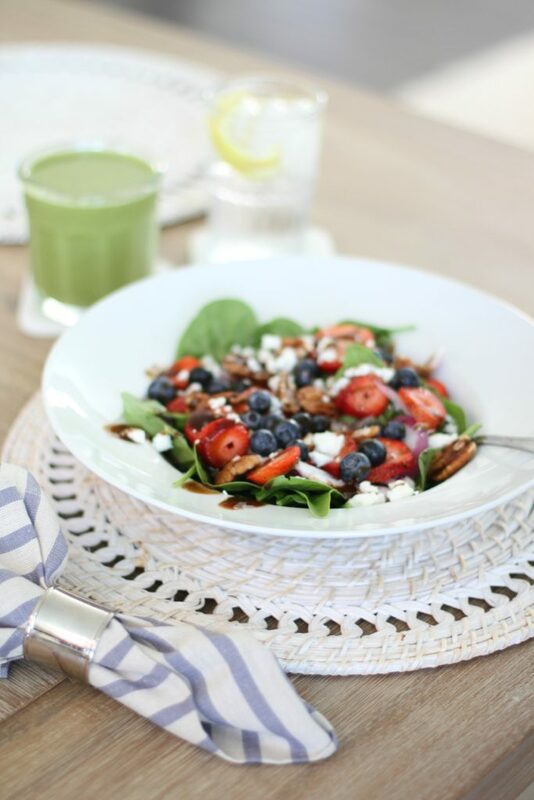 Summer is almost here and I wanted to share a delicious salad that would be perfect to serve at your next backyard BBQ or lunch. I love this salad and I always enjoy eating fresh and delicious meals. 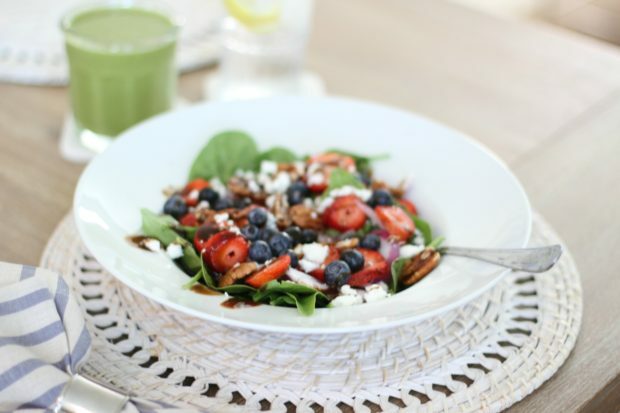 Since being pregnant I’ve been making healthy eating habits and I want to continue eating healthy since I plan to breast feed and get back into shape after my sweet baby Olivia arrives. 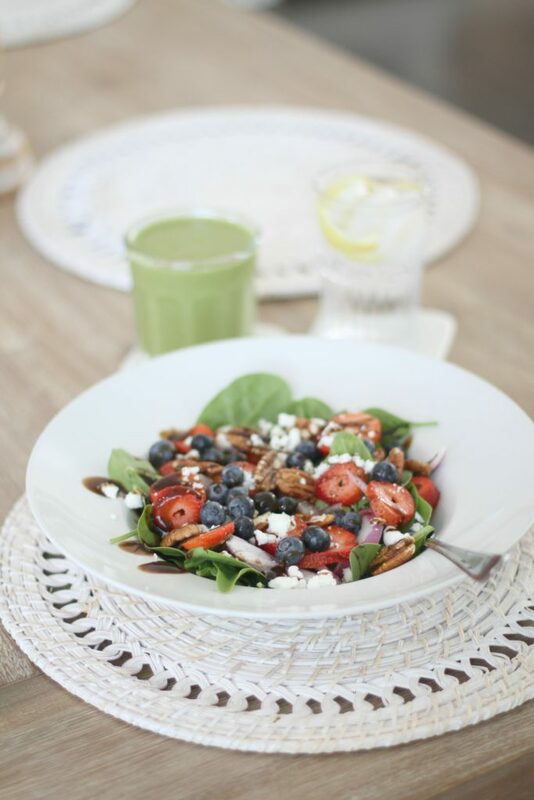 If you would like the recipe to this salad keep reading below! Serving Size for 1. Multiply ingredients depending on how many people you are serving. 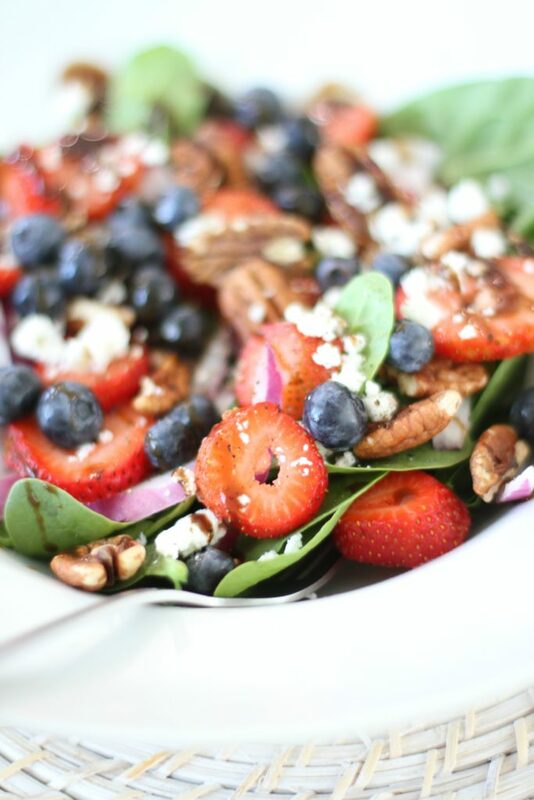 Combine the spinach, strawberries, goat cheese, onions, and pecans in a large bowl. Stir the balsamic vinegar together in a bowl; slowly stream the olive oil into the mixture while whisking continuously. Season with salt and pepper. Drizzle the dressing over the salad just before serving.